Why does Mariah Carey have to do everything over the top? She really makes me utterly sick . I love her voice, but I can’t stand her as a person. I get so conflicted every time I listen to her music. 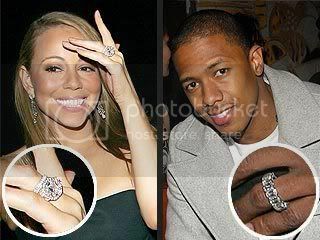 This marriage will not even last in months each of the 17 carats that make up her $2.5 million ring. Cannon claims, "I wanted to do something extremely special, something that Mariah would really appreciate,", but we all know Miss Diva bought the ring and probably ordered it herself. Cannon is just along for the ride!